If VR headsets are ever to bring a holodeck-like experience, we need to cut the cables. 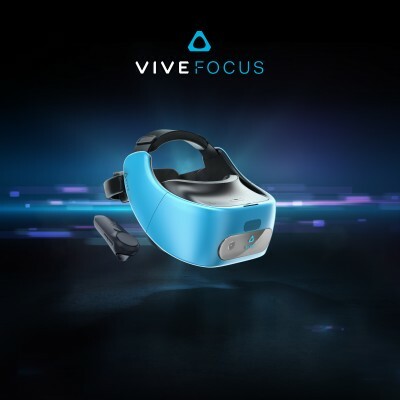 Vive just announced its first stand-alone, completely untethered headset – the Vive Focus. More importantly, this is the first hardware implementation of the new Vive Wave platform. Twelve hardware partners in China have already signed up and will build future products based on Wave. The Focus delivers “inside-out” 6 DoF tracking. Since it doesn’t rely on cables or even the Vive Lighthouses, the company calls this “world-scale” (goodbye, “room-scale”). The headset comes with a single motion controller. The headset is powered by the Snapdragon 835 VR platform. The similar Oculus Go is purported to run on Snapdragon 821 (it’s a $200 headset). The Vive Focus will feature low-latency AMOLED displays with “unmatched clarity” (resolution unknown). Price and availability of the headset will be announced later. Vive also partnered with Unity to enable on-click publishing of VR content onto Viveport – for both PC, standalone and mobile developers. The initial focus will be on the Chinese market. In fact, the Focus may never launch in Europe and the US (where it would have run Google’s Daydream VR platform). Exynos 8895 and SD835 contains graphic processors Mali-G71 MP20 and Adreno 540 respectively. They are almost equal in performance.